In 1842, after the establishment of the Dutchess County Agricultural Society, the first official Dutchess County Fair was held in Pleasant Valley. It did not move to its present-day location in Rhinebeck until 1919. It's now the largest six-day agricultural fair in the state. 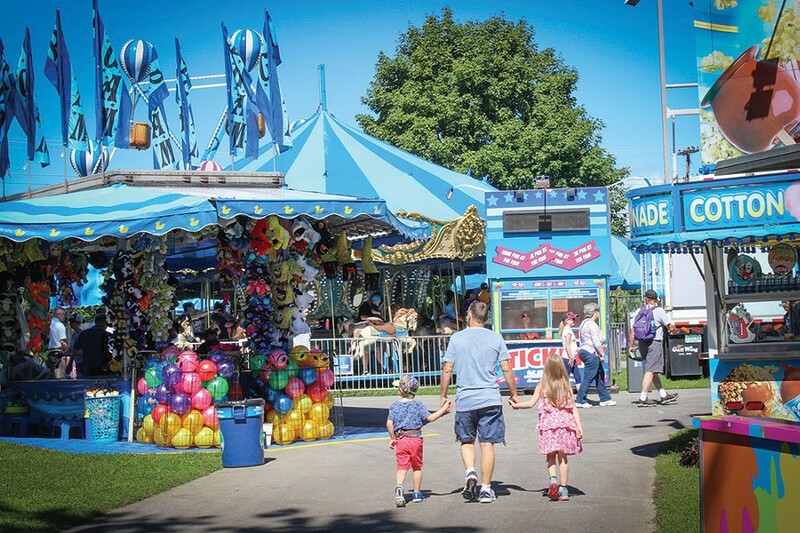 On Tuesday, August 22 the Dutchess County Fair returns for its 172nd year with 300 craft, food, and lifestyle vendors and over 50 rides. The grandstand concert series lineup features performances by 3 Doors Down and Old Crow Medicine Show. Advanced admission tickets are available for purchase locally, offering buyers the chance to save $3 on the admission fee. Ten ride tickets can also be acquired in advance for $20, a 50-percent savings from the cost at the fair itself. The Dutchess County Fair is at the Rhinebeck Fairgrounds from August 22 to August 27. (845) 876-4000; Dutchessfair.com.